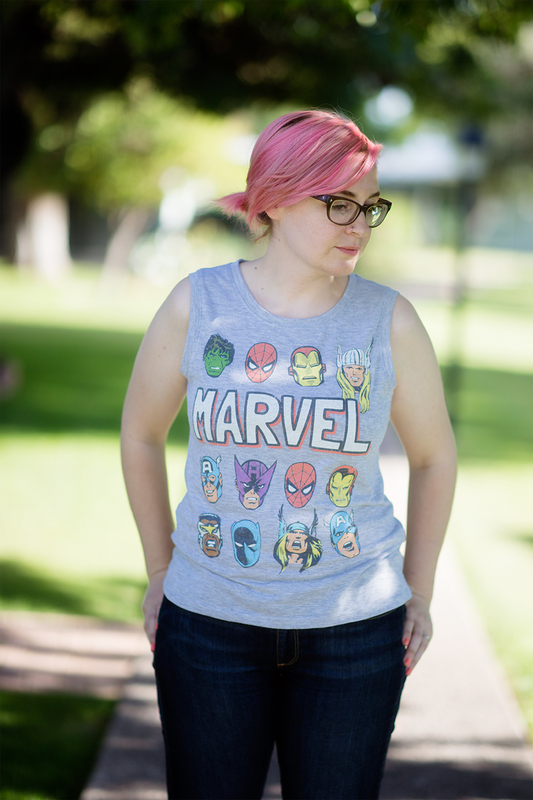 Oh lordy guys, we went and saw the new Marvel movie 'Avengers - Age of Ultron' Friday and it was pretty darn awesome! Will and I went with our friend Andrea, and I forced both of them to go to basically the first showing Friday morning at 9:30, and if that wasn't bad enough I made all of us get there an hour before the movie started in fear of it being crowed, haha! There were quite a few people waiting for the theater to actually open up (yeah we got there that early so the theater wasn't even open yet). Once we got in we quickly made our way the the theater to grab our seats and waited for the masses to come in. We waited, and waited, and waited, but no one came in. I investigated and found out there was a 3D showing 1/2 hour earlier, other people for our viewing didn't come in until 5 minutes before it started. Whoops. At least we had some breakfast sandwiches with us, hehe. Ok, not going to lie, I totally bought this shirt specifically to wear to this movie because themed outfits for movies are kind of jam. I'm not the only one. 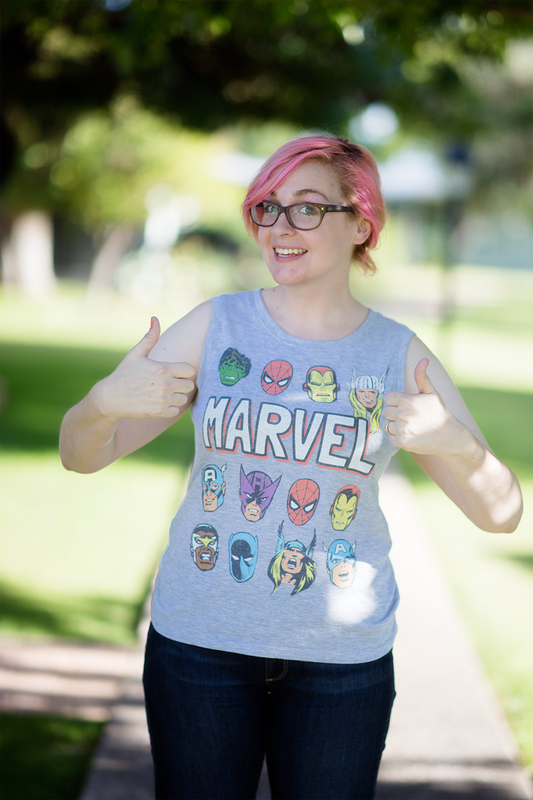 There were a couple other people in the movie rocking their Marvel related shirts, and I really wanted to give them all high-fives but I chickened out, so I gave them mental high-fives instead haha. Target is totally killing it this spring/summer with their clothes! I feel like over the past couple of years it was really hit or miss for me in their clothing section. 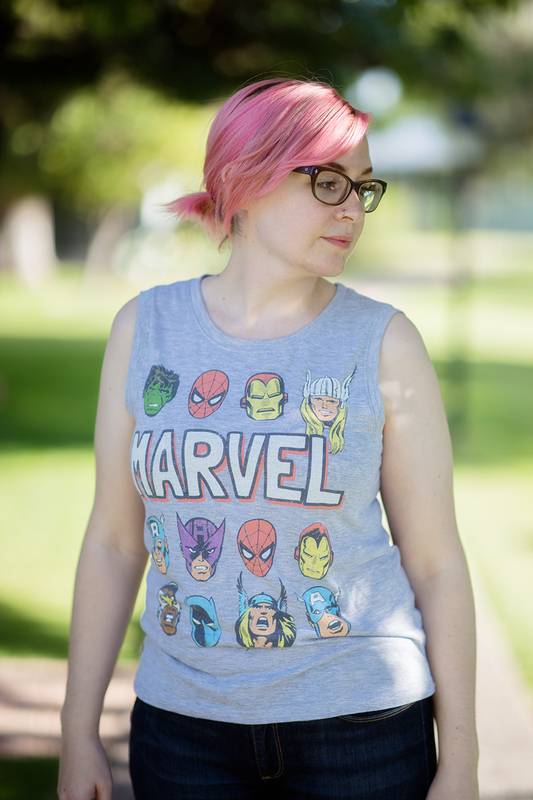 Not only is their shirt pretty awesome with it's retro superhero illustrations, but it is also so freaking comfy and soft. 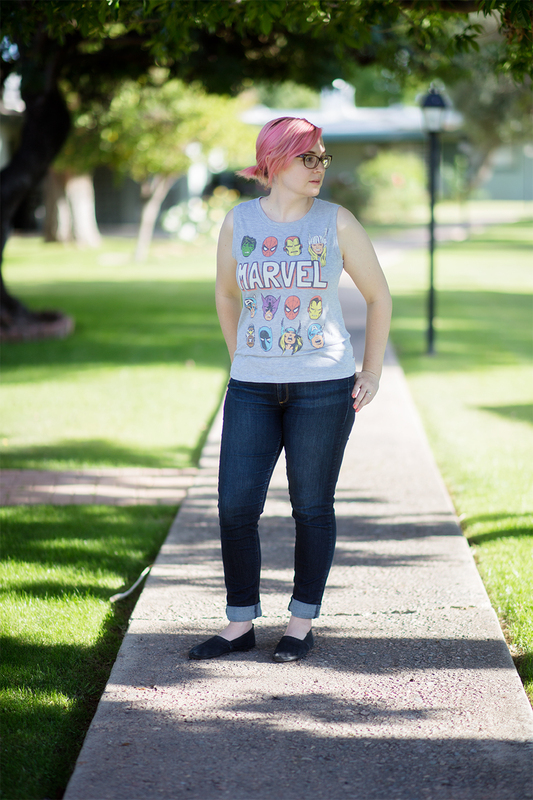 As I mentioned before, because I work in front of the computer from home I want to wear something comfy, and I'm more prone to just wearing pjs all day if I don't have any comfy shirts and pants, so I've just been loving all of these lose fitting and soft/comfy shirts I've found lately. That's an awesome shirt! 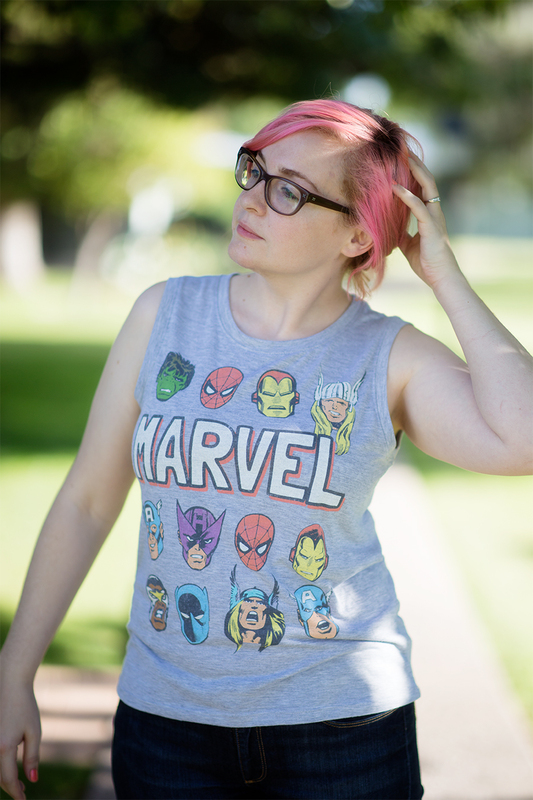 I went to see the new Avengers film on Saturday afternoon, it was brilliant! I'm guessing Thor 3 is going to be the next film to come out? I'm not a fan of action movies for the most part, but I love the Marvel films. My friends and I are planning a Marvel movie night for sometime soon. Cute! I love Target's clothes!